This review will be updated if and when a key feature is addressed. Read on, I explain. The original Watch Dogs was possibly the perfect representative of the new console generation. When it debuted, it looked like the games we hoped we'd see. When it launched, it featured downgraded graphics and glitches galore. It was unintentionally analogous to the newest console generation. A bright light of promise surrounded by a shadow of early disappointment. 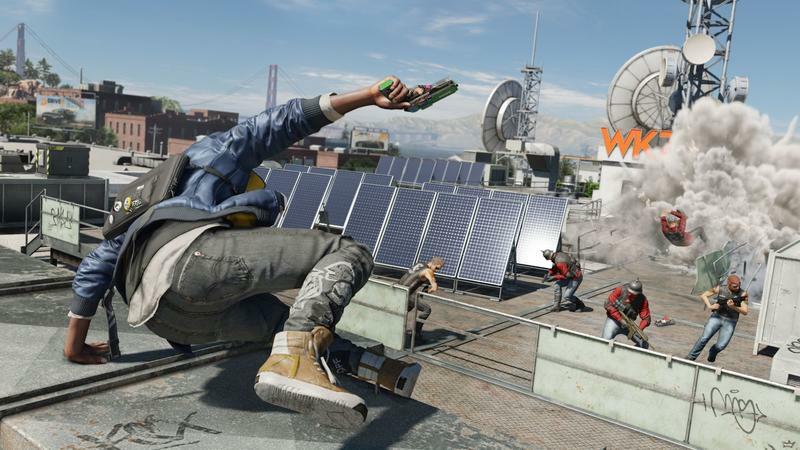 Ubisoft put the weight of a holiday season on Watch Dogs 2. There's no Assassin's Creed, no Far Cry, no Tom Clancy game. 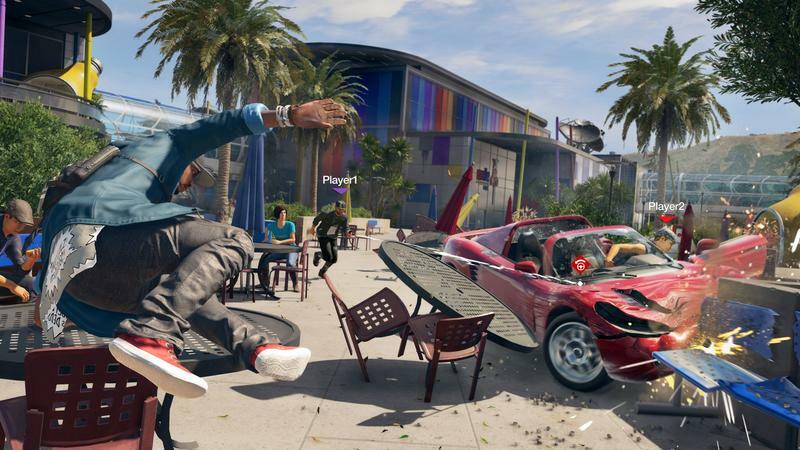 Holiday 2016 is largely just Watch Dogs 2 for Ubisoft. Then there are the preview events. I don't think I've played as much of a game before release as I have for Watch Dogs 2. It was always on a PlayStation 4, always with the latest code, always presented unapologetically with glitches and all and always improving. Compare that to the original game? I didn't play much of Watch Dogs ahead of release. It was silent for a large portion of its development, too. That was a game that was touted as one title and launched as something different. It was a shell of what was shown off at E3s prior. 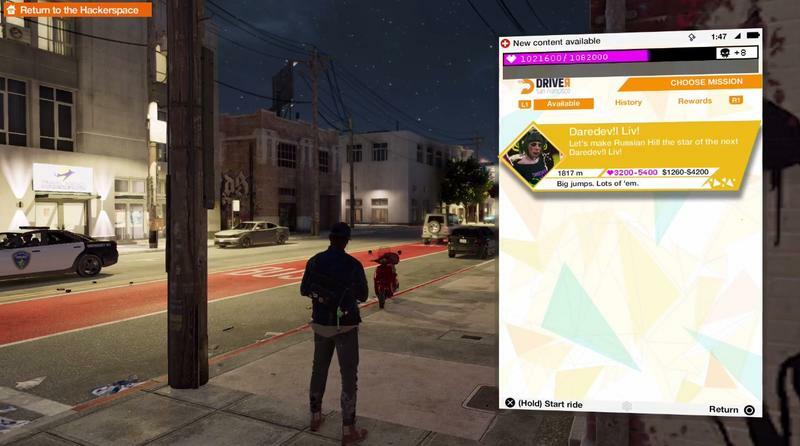 Watch Dogs 2 isn't a downgrade. Watch Dogs 2 is a damn good video game. It has its issues, one that's glaring and should keep you from buying for a bit if you're interested in the multiplayer portion, but it's fantastic on the whole. 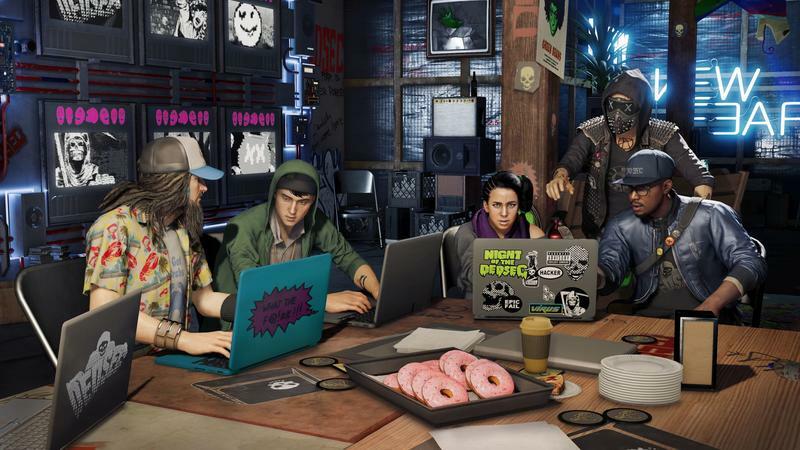 Ubisoft took a risk with Watch Dogs 2, and they nailed it. We received Watch Dogs 2 roughly a week ago. At first, everything worked just fine. We're on the PlayStation 4. The game doesn't run at 60fps, it hits some minor drops and bumps, but nothing I wouldn't expect for an open world affair on the base PS4. Then came Thursday or Friday of last week. Ubisoft flipped a switch and turned on the seamless multiplayer, and the game went to absolute crap. I mean frame rates lagging down to slideshow speed, crashes, bugs, you name it. I disabled multiplayer in the settings menu, and the game ran smoothly again. The seamless multiplayer is not working. Ubisoft knows this. They've offered that they're confident it will be fixed ahead of launch. We will update this section once that happens. There's good news if you're a player like me. I don't typically play these open world affairs for their multiplayer. If I have a friend or two around who want to roll with me, sure. When I'm going solo, I find the open world mechanics a bit too grating for a quality multiplayer experience. For the purpose of this review, I'll be covering it, of course, but I would have been perfectly satisfied with Watch Dogs 2 were it a completely solo game. That's how I wound up playing it up until now, and I loved it. 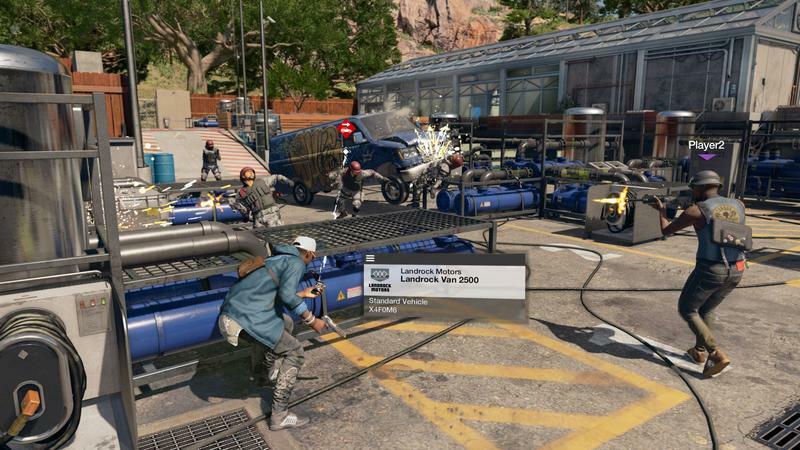 If that seamless multiplayer feel is crucial for you, wait until Ubisoft issues a fix and outlets test their work. As per usual, I won't get into story specifics for Watch Dogs 2. I'll leave the discovery of the finer points up to you. Know that the main arc moves in a sort of predicitable fashion while the side stories (not just the side quests, but the side stories that branch off of that main plot) are the real winners here. You'll enjoy a lot of them, and they'll stand as more than just an excuse to move from point A to B. Aside from the graphical and technical letdown that was the original Watch Dogs, that game featured a main character who was incredibly dull. Aiden Pearce. Oy. Aiden Pearce was the color gray personified. He was boring, though there were some bits of interesting story around him, and he kept the dark and depressing world of Chicago darker and, well, more depressing. 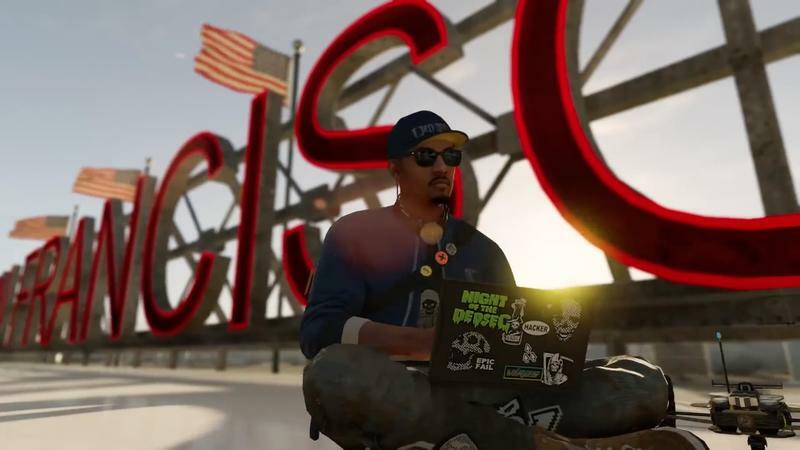 Marcus in Watch Dogs 2? Much better. He moves with style, he sports awesome clothes, he talks with bravado and he actually plays like an interesting character. Some folks marked him a "hipster" in early reveals, and Ubisoft totally makes a nod at that with dialogue. He's not. Marcus is great. Even better than Marcus are the characters flanking him. There's one really cheesy relationship within the Dedsec hackers that I'll let you discover, but the team otherwise is awesome. That goes double for Wrench, the crazy man with the mask that offers digital emotes where Wrench's eyes should be. Wrench is great, and I'd play DLC with him as the main character in a heartbeat. 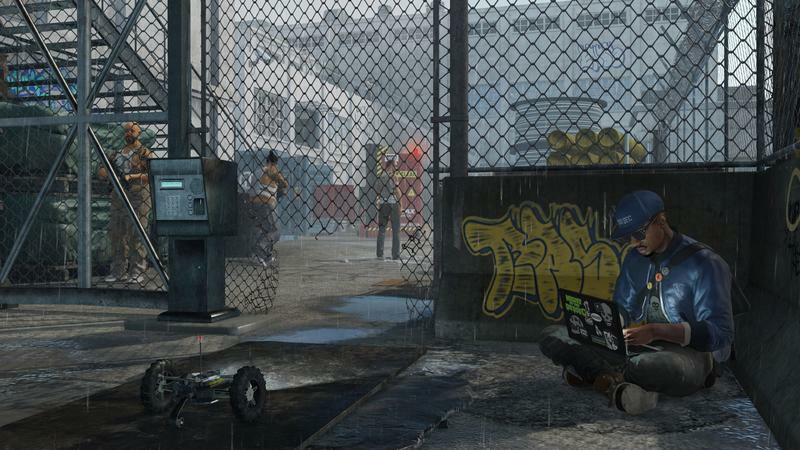 Where the original Watch Dogs failed in terms of content, for me, was its lack of personality and character. 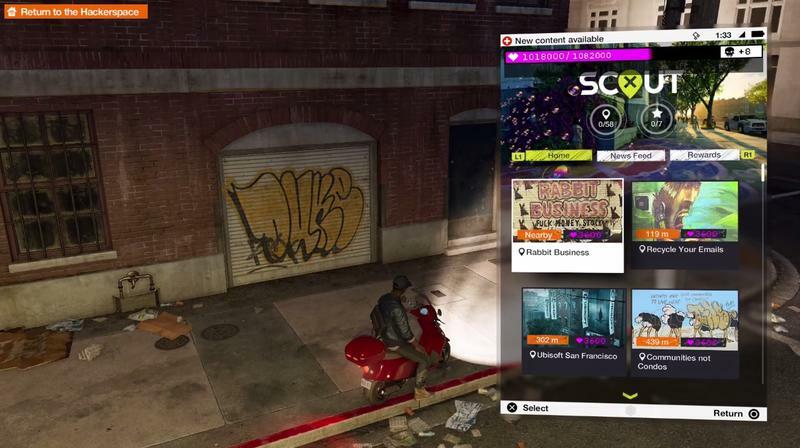 Watch Dogs 2 overcomes that. Its characters pack personality, and its world screams distinction with the awesome Dedsec art and style. That persona soaked world holds up until the credits roll, and I greatly appreciate that. The open world itself is packed with content, though not as overwhelmingly laden with icons like what we have in more recent Far Cry and Assassin's Creed efforts. There's lots to do between the main mission, side missions, online missions and minor events and collectibles. What I really enjoyed here, though, is that Watch Dogs 2 has the mechanics of a tight action-RPG built into an open world space. Marcus features a big upgrade web, let's call it, where he can diversify his earned and discovered research points into driving, combat, hacking or gadgets. The Marcus you wield at the starting bits of the game pales in comparison to the fully fleshed out version that runs around later. You'll get research points by earning followers or discovering them on the ground in puzzle-esque spaces. You can even earn them through side activities, which I'll touch on here in a few. Every single mission feels like its own tight level, and that really works well in a genre that typically offers little more than driving from place to place, shooting all the dudes within and leaving. 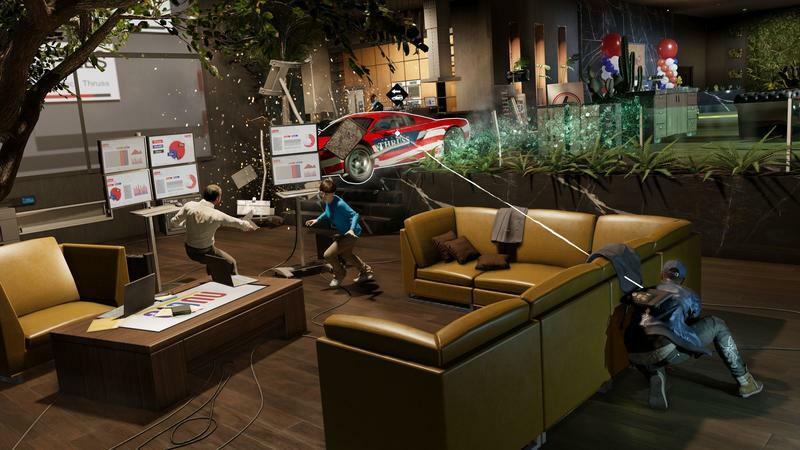 Instead, Marcus has to actively use stealth and the gadgets at his disposal to infiltrate, hack and escape. When you do get to that final area, you might be met by an honest to goodness puzzle that's actually tough to solve. You will die, you will be challenged and that's so much better than the papier-mâché theater that normally makes up missions in this genre. Then there's all the stuff you can do with the "apps" on your phone. There's ScoutX that serves as a mini-game where you find distinct city locales and snap pics of them for followers. Driver San Francisco (a nod at both the Driver franchise and Uber and Lyft) is a weird version of Crazy Taxi that's great for passing time and earning bucks and followers. Oh, and the driving? It isn't perfect, but it's so much better than what we had with the first game. You can unlock a turbo boost for cars a bit into the game. I suggest you do it quickly if you intend to drive a lot, it helps. 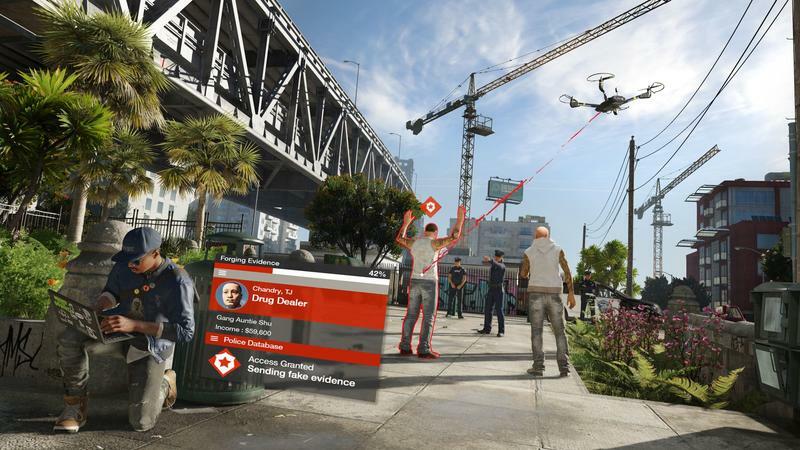 There's a lot to do in Watch Dogs 2. All of it's varied, and most of it is fun. Some side missions were boring, like one called "Bottom Dollar" where you literally just hack into ATM cameras and watch people freak out about money stuff. I also hoped for the game to push me to explore even more of its open world through these side missions, with the most exotic in my opinion heading to Alcatraz. The world is huge, and I sort of hoped to see more of it through objective play. Then there are the odd hiccups that served as distracting annoyances. I never say anything as bad as, say, a disappearing face during cutscenes. I had waypoints that got stuck regardless of whether or not I removed them in the actual map. I had to actually drive the whole route just to get them to disappear. The whole waypoint system, in fact, is odd. You'll start a mission, and it will sort of deactivate the waypoint every time you finish a step. You'll need to open your map and re-place your waypoint in order to get it to show again. I also had issues where music would stop playing and take time to restart after I tapped play in the menu. This happened regardless of how I set autoplay in the settings. None of these things are game-breaking, but they are annoying. They also sound like issues that could be fixed with a quick patch, and I hope that's the case. 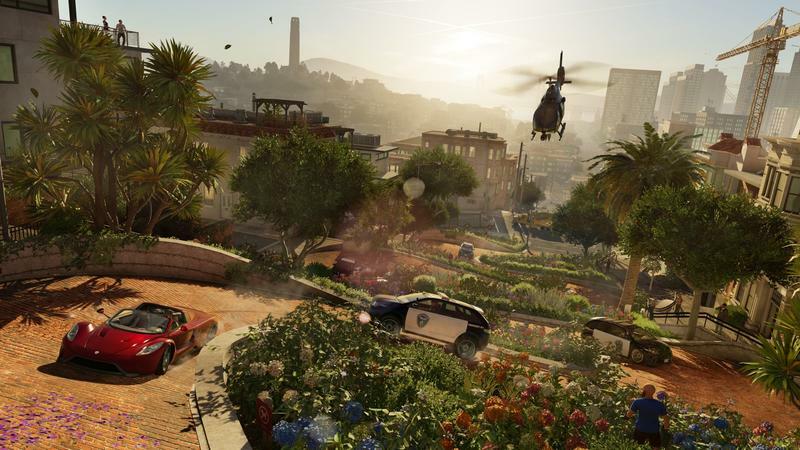 Watch Dogs 2 towers above the original in quality, playability and style. Consider this the first game. 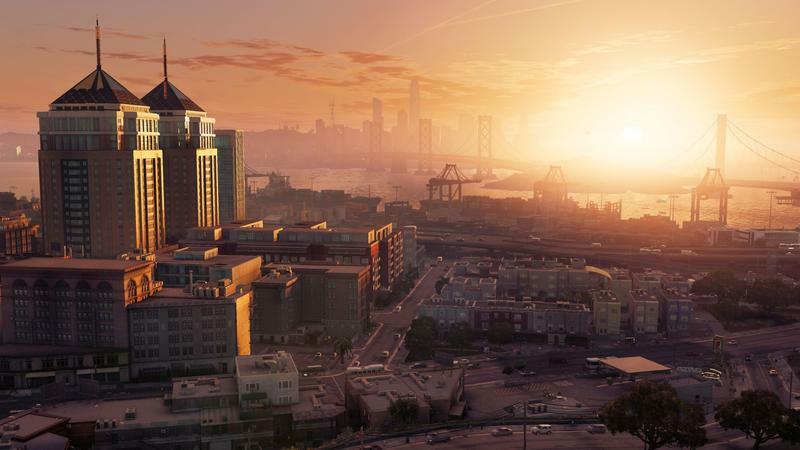 The characters, the open world, the story, the missions, the gadgets and the skills in Watch Dogs 2 elevate it from the mediocre first outing to something special. 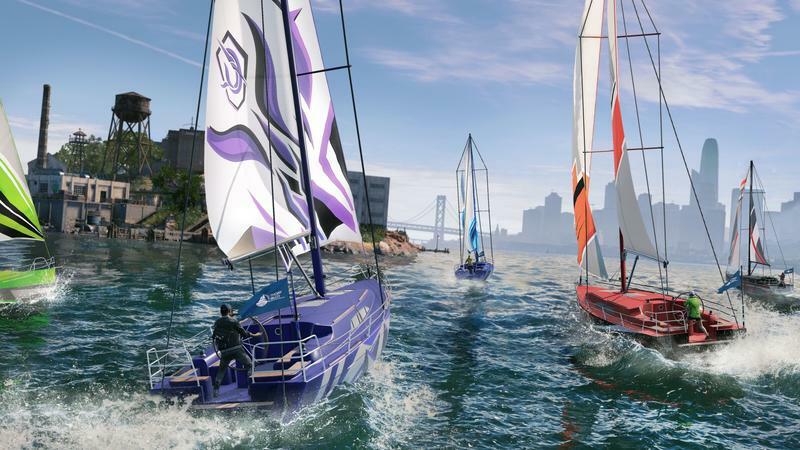 Watch Dogs 2 is easily one of the best open world affairs this year, and it's one of Ubisoft's best offerings in a long time. 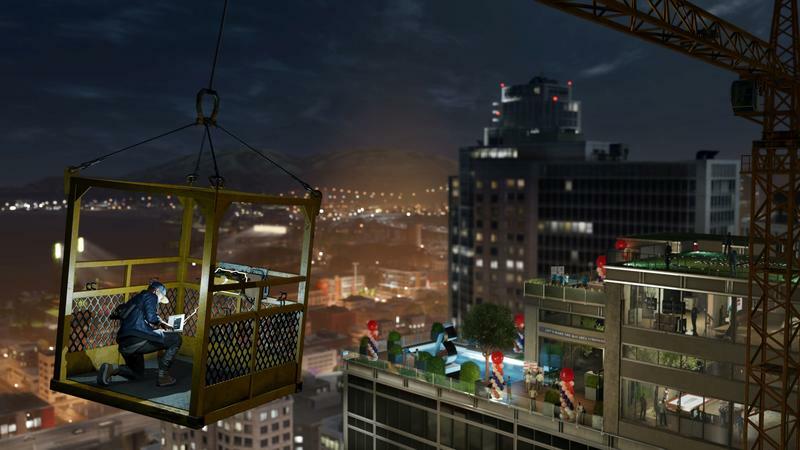 You might even be able to compare it to Grand Theft Auto V, though Rockstar's work offers a higher degree of polish. 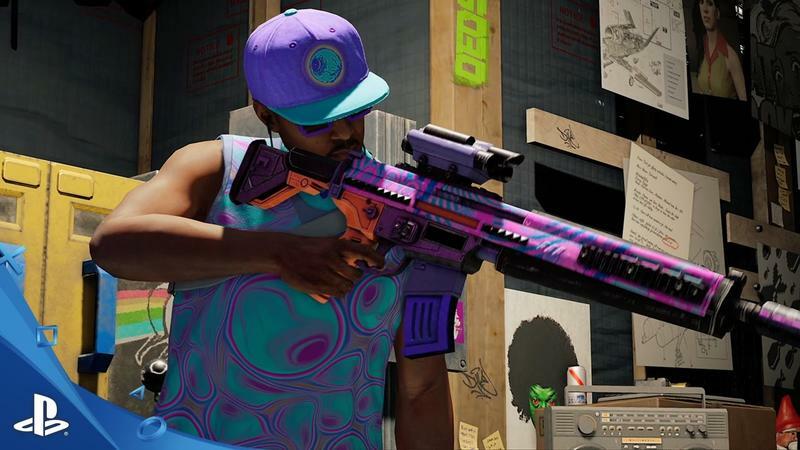 Watch Dogs 2 is better at satire, though. Instead of throwing boiling water on your face with its jokes, Watch Dogs 2 is actually subtle, and that's something I dig. This game would get a straight "buy" were it not for the multiplayer problems. If you don't care a bit about multiplayer, feel free to dive in right away. If multiplayer matters to you, wait until things are green and then give this a go. It's definitely worth $60, and fans who wanted more from the original will find this to be a much better ride. 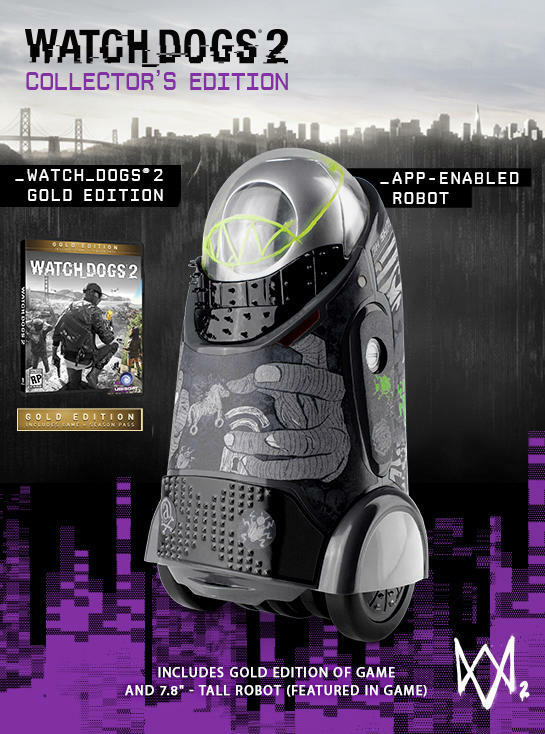 Disclaimer: We received a copy of Watch Dogs 2 ahead of release from Ubisoft.